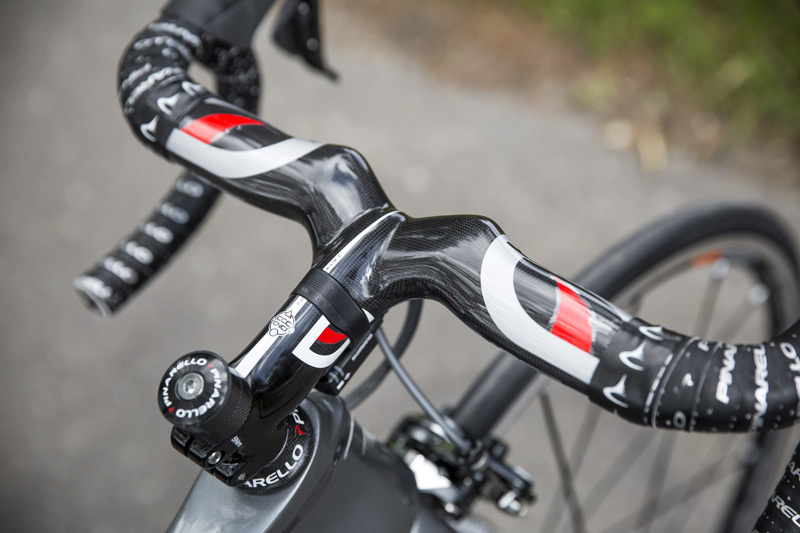 The Pinarello Dogma F8 is the eighth iteration of Pinarello’s range-topping Dogma frame that first launched in 2010. Since then it has won four Tours de France and countless other major races. The Italian manufacturer now works exclusively with Team Sky and develops its bikes in tandem with them and the experts they have at their disposal. The result of these collaborations is a £10k superbike designed to pull in the best engineering around aerodynamics, rigidity and comfort. The aim was to create the fastest bike in the world, according to Fausto Pinarello, and a collaboration between Team Sky, Pinarello and Jaguar was created to bring all their expertise into one room. 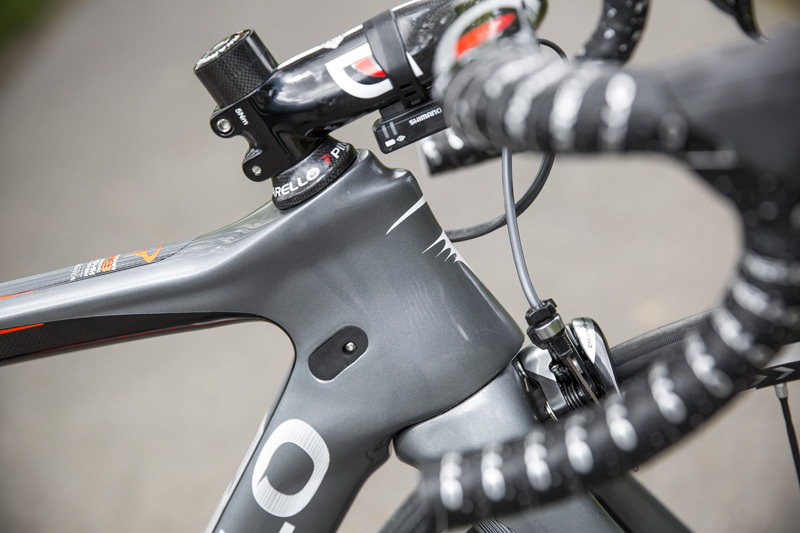 The process was guided by carbon expert Dimitris Katsanis, who designed and built the UKSI track bikes used by British Cycling through three Olympic campaigns. Torayca T1100 1k carbon-fibre features throughout the frame — it’s costly but helps to maintain high stiffness levels in key areas — while the down tube’s FlatBack profile aids aerodynamics. 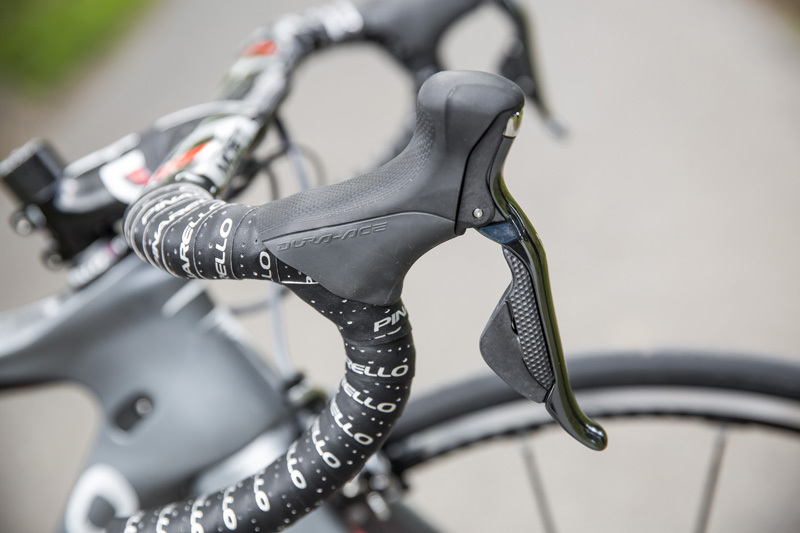 The reworked Bolide forks deserve a special mention. 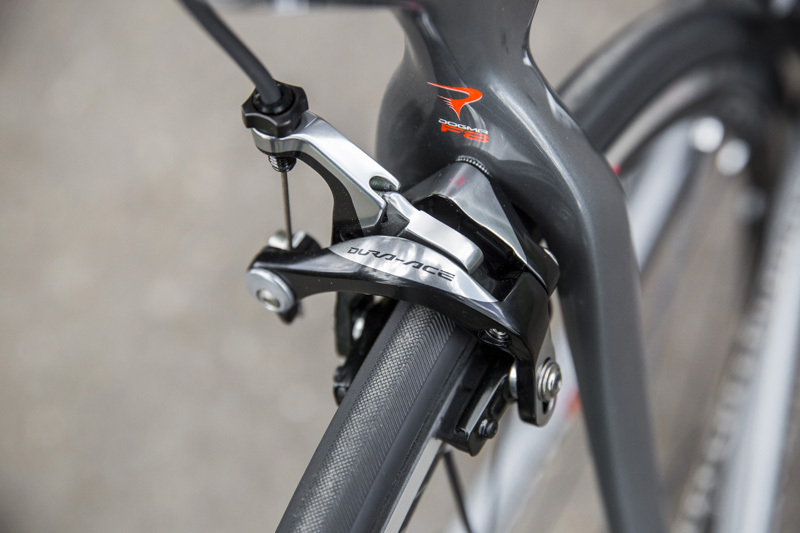 Designed to improve airflow by separating the fork and wheel elements, i.e. each blade and the wheel, they have a very different, yet very stable feel when out of the saddle. Rumours suggest the frame is made in a separate factory to ensure quality. 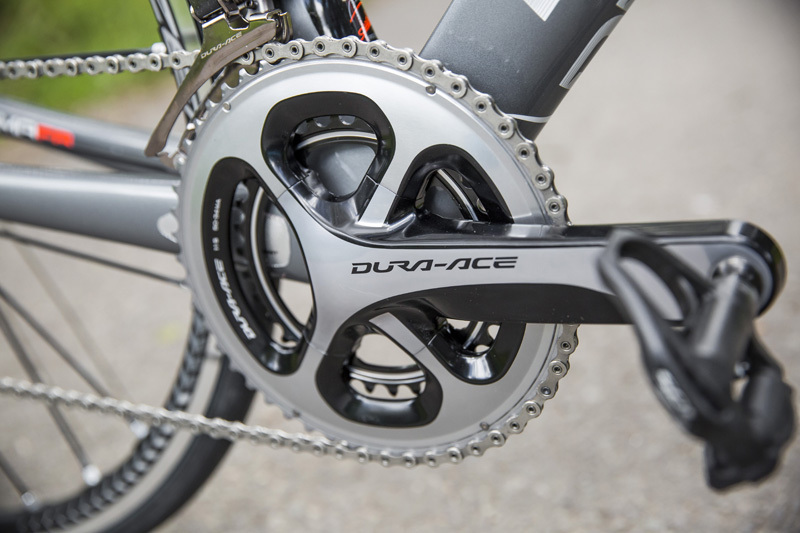 Full Dura-Ace Di2 is the ideal complement to the frame; it looks great and the ergonomics of the hoods feel pretty good too. Pinarello uses its own integrated stem and handlebar branded MOST, which I did swap out due to sizing (I needed a longer stem). 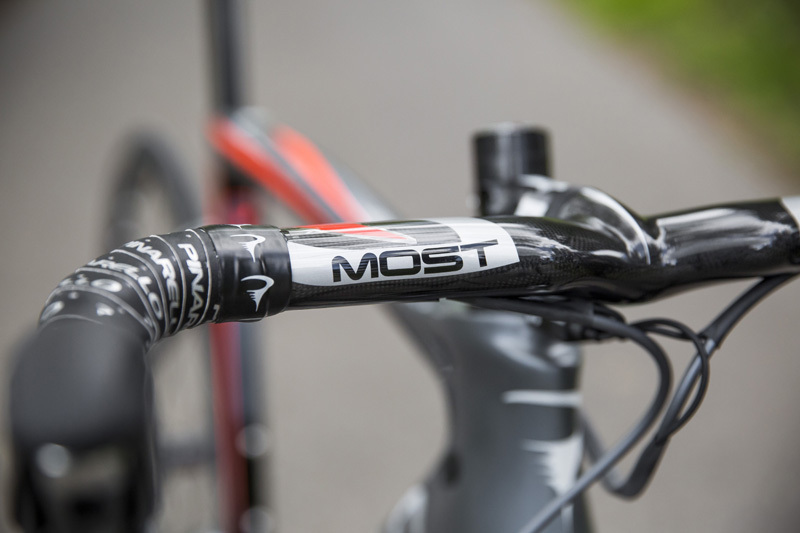 The MOST unit is, of course, more than adequate and is certainly fitting for a bike like this. The wheels are Fulcrum Racing Zero Black with ceramic hubs. A good wheelset then, but the ceramic bearings couldn’t cope with gritty winter roads and quickly became noisy. For a superbike that’s built to be fast across all road terrains, I was surprised at the comfort levels of the F8. While it remains hugely stiff it doesn’t beat you up along the way, a good thing considering some of the roads in the UK. You can do what you like with this bike and it will shrug it all off. Which is part of a small niggle that I feel this bike has — it lacks spark. It descends beautifully, doesn’t falter in a sprint and is light enough to be a climbing companion, but it does this without the flair or excitement you’d expect from something of this price and calibre. Perhaps this is the price you pay for the ‘fastest bike in the world’. Alright, I admit… it’s hard to justify spending £10,000 on any bike, let alone recommend it as a great-value-for-money option. 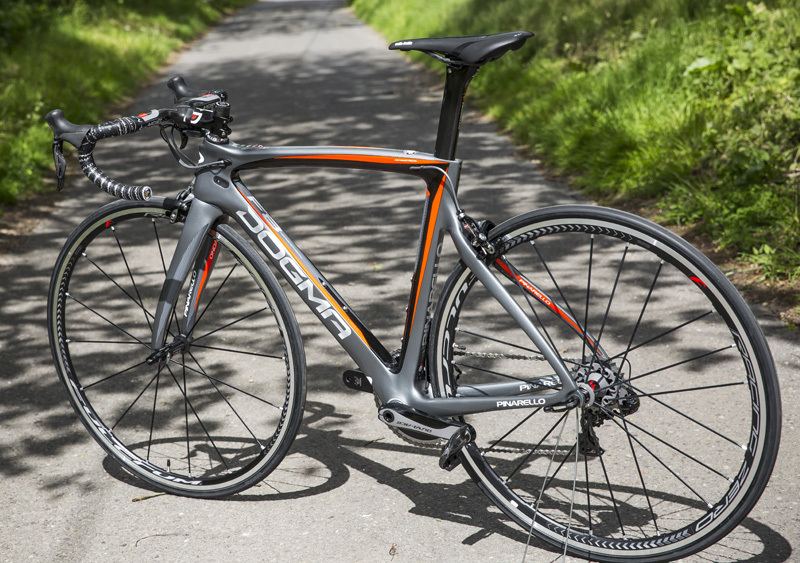 But if you had the cash to splash and wanted a money-no-object dream bike with a proven pedigree, the Dogma F8 would surely have to be on your shortlist. It really is one of the best bikes out there, but with many companies producing showstoppers, like the new Scott Foil or Canyon’s Aeroad, it’s got some stiff competition.